NEW YORK - When staying somewhere new, there is nothing better then getting an insider's view of the general atmosphere and available attractions and facilities. Fashion Studio Magazine met Lynn Woods, Assistant General Manager at Element New York Times Square West, to find out more about this fabulous eco-friendly hotel. We asked Lynn not only about the recommended features of the hotel and his favourite shops in New York City, but also about the challenges of his busy role and the necessary qualities to work in the hospitality industry. FASHION STUDIO: How would you describe the style and atmosphere of Element Times Square Hotel? 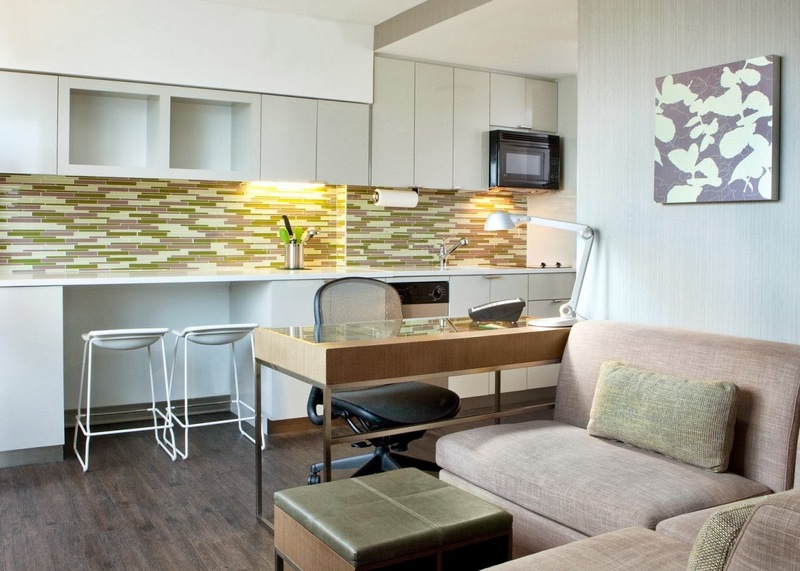 LYNN: Element Times Square provides guests with space to enhance their travel experience and continue their healthy lifestyle while on the road. 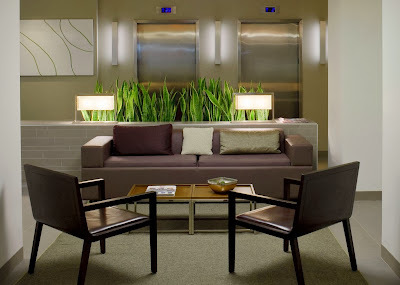 The light-filled lobby, guest rooms and public spaces outfitted with comfortable seating areas offer guests an eco-friendly oasis to relax or reconnect while overlooking the bustling city streets. Whether guests choose to catch up on reading on our unique outdoor rooftop patio overlooking the Manhattan skyline, or socialize with fellow guests and a glass of wine at our Relax evening receptions, they are sure to feel inspired and enlightened by our bright, eco-wise design. All Element hotels are designed based on the same thoughtful roadmap, keeping eco-conscious sensibilities in mind without sacrificing any part of the guest experience. While location (New York City vs. Lexington, Massachusetts, for example) can affect certain structural details, the same sustainable design features are found throughout. We also aim to utilize the latest in green technology and design to stay ahead of the curve. Environmental responsibility is at the cornerstone of the Element brand. All Element hotels are built green from the ground up with an emphasis on green design, construction, operations, technology and services/amenities. Element is the first major hotel brand to mandate that all hotels pursue the U.S. Green Building Council’s Leadership in Energy and Environmental Design (LEED) certification, and Element Times Square is actively in the process. 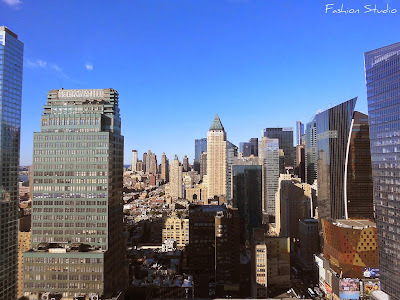 FASHION STUDIO: What advantages has this hotel over other hotels in New York? Element Times Square also has fun – and unexpected – ways of helping guests stay healthy, happy and eco-smart on the road. We offer a special stationary bike in our fitness center, for example, that has a pedal-powered generator. This lets our guests charge their tablet or smart phone as they exercise. The program has been a great way to encourage our guests to think creatively about sourcing the energy we all depend on to fuel our daily lives. Not as obvious to guests is the fact that Element Times Square is powered by 100% renewable energy. We purchase Renewable Energy Credits through our local utility provider, guaranteeing the energy comes from a renewable source, such as wind, hydroelectric, solar or geothermal. FASHION STUDIO: What is unique about the hotel's location? LYNN: Element Times Square West is located in the heart of New York City’s fast-paced Time Square, making the Big Apple very easily accessible. Taking advantage of its city scape, the hotel’s private rooftop terrace offers stunning views of The Empire State Building, Hudson River and Midtown Manhattan. The hotel’s proximity to the Hudson River serves as the perfect destination to take our complimentary Bikes-to-Borrow for a spin. 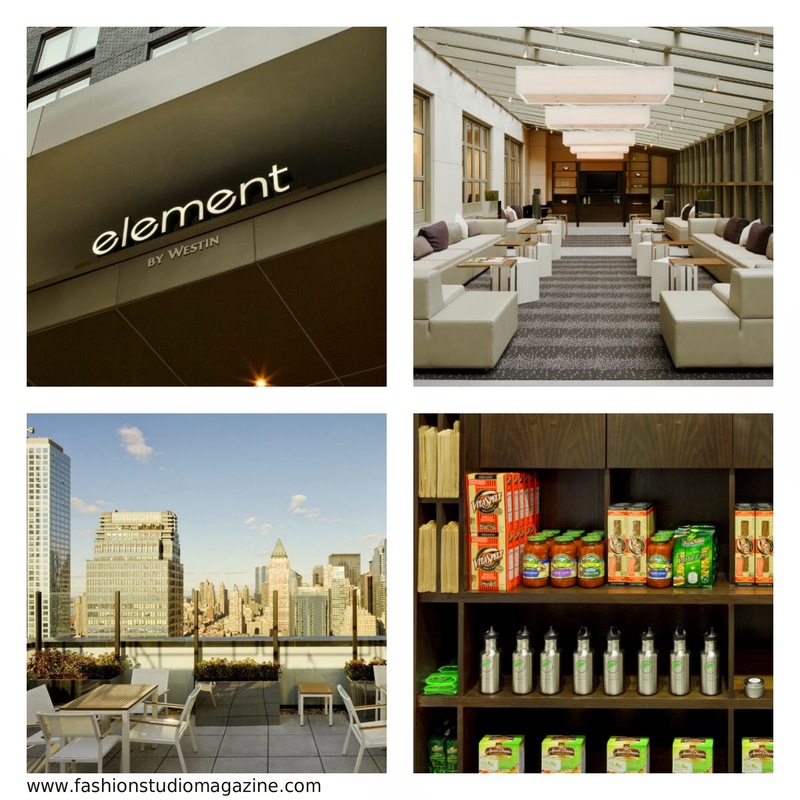 FASHION STUDIO: Could you tell us more about interior design of Element Times Square? Bathrooms that feel spa-inspired yet feature a low-flow oversized rain shower showerhead, as well as amenity dispensers to cut down on plastic bottle waste. Dual-flush toilets and low-flow faucets also reduce water consumption. FASHION STUDIO: What is the most fashionable suite in the hotel and why? LYNN: All of our guest rooms feature similar design sensibilities, but our Suites are the largest room category with 522 square feet of space. FASHION STUDIO: What leisure facilities does the hotel offer? LYNN: Element was designed for the extended stay guest who appreciates such amenities as free Wi-Fi, light-filled public spaces, 24-hour complimentary gyms, complimentary Bikes-to-Borrow for off-property exploring, and free Rise breakfast and Relax evening receptions. The hotel’s 24-hour offerings let guests enjoy their stay at their own pace and on their own schedule, whether they choose to dine late, snack at midnight, work-out before dawn, or submit a presentation at 3 a.m. Also, the architecture of the building is designed to soak public spaces in natural light, so our guests can enjoy an abundance of sunshine while lounging in our lobby or living area. 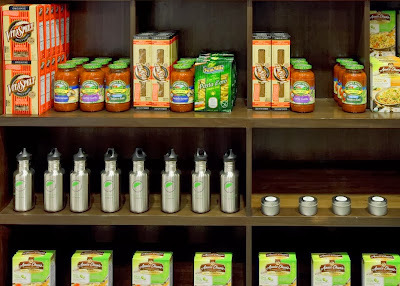 FASHION STUDIO: How about the dining options? Rolling Salon Bars stocked with premium wines and beers along with soft drinks and snacks, inviting guests to linger in Element Times Square’s spacious lobby after our Relax reception. FASHION STUDIO: How would you describe a typical guest staying at Element Times Square? We’re finding that our wide variety of guests, who include an international crowd, tourists, and business travelers looking for an extended stay hotel option, are increasingly mindful of their surroundings and their impact on the environment, making the Element brand premise very relevant. And for guests simply drawn to the services and aesthetic of Element, the “green” touches are an unexpected but welcome bonus. FASHION STUDIO: Which shopping spots in New York would you recommend? How far are they from the hotel? LYNN: Just blocks away from Element Times Square located on 5th Avenue are some of the biggest name-brand shops in Manhattan. Other nearby attractions include the Museum of Modern Art, Madame Tussaud's Wax Museum, Central Park, Lincoln Center, and the New York Aquarium. FASHION STUDIO: What are the biggest challenges of your job as a Hotel Manager? LYNN: While I face day to day challenges as many hotel managers do, the amazing Element team minimizes the pressure of even the biggest challenges. FASHION STUDIO: What does running a hotel involve; what's your typical day? LYNN: The hospitality industry requires a lot of energy, enthusiasm, and ambition to please people on a daily basis. As hotel manager I am a role model to my Element team, exemplifying a positive attitude and making sure I am visible to hotel staff and guests at all times. Regularly scheduled business focus meetings help me to keep on top of things and discuss strategies with the hotel staff. FASHION STUDIO: What are your plans for the future? LYNN: I plan to continue to serve the hospitality industry and grow and excel with the Element brand.